Publishing a magazine is hard work. Discouragement can set in. No matter what your circumstances as a publisher include, (the size of your staff, the level of persecution you endure as a Christian, the demands on your finances, governmental restrictions, time constraints, lack of experience, health problems, difficulty in day-to-day operations, and more) producing a periodical is tough. You felt God’s calling to be a part of the magazine and you have seen his hand at work in it, but you are weary and tired. It is our goal at MTI to provide you with training and resources that will lighten the burden, but ultimately it is God that will carry you through. He promises throughout scripture that your load will be light if you give it to him. He knows what you are going through and he will continue his work in you and in your magazine. 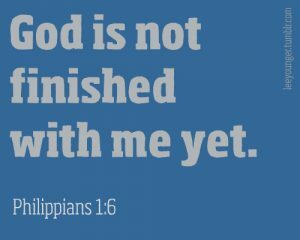 When discouragement sets in, claim the confidence he offers that he is not done with you yet.